The Flood Gallery Fine Arts Center has moved from the River Arts District and re-opens September 17th at 2160 Hwy 70 near Swannanoa with an opening reception of Connie Bostic’s Art from 3pm to 9pm, performances by Ash Devine and other local singer song writers, and readings by authors of the Black Mountain Press. 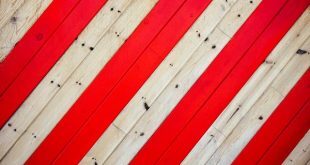 RED will be on display until October 30th. Asheville is known worldwide for its unique musical expression, diverse array of the healing arts opportunities for spiritual reflection. 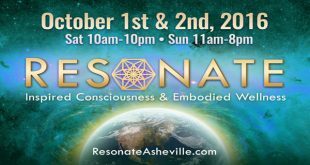 Now in its third year, the RESONATE festival is set to elevate Asheville’s status as the source for all things sound, wellness and spirit. Held on October 1st and 2nd at the historic YMI Cultural Center, RESONATE will feature two days of workshops and concerts that inspire and empower. RESONATE explores the nexus of alternative healing modalities, the physics of sound healing, cymatics, neurobiofeedback, entrainment, and epigenetics. Further, the event provides a platform for professionals in the healing arts to tune up their toolbox and share their gifts with the community. 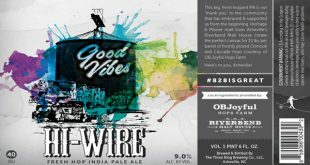 On Saturday, August 27th at 6:00pm HiWire Brewing | 2 Huntsman Place | will be releasing a limited number of 22oz bottles of their Good Vibes Fresh Hop Double IPA (9.0% ABV), made with local hops from OB Joyful Hops Farm and malt from local Riverbed Malt House for $15 per bottle. 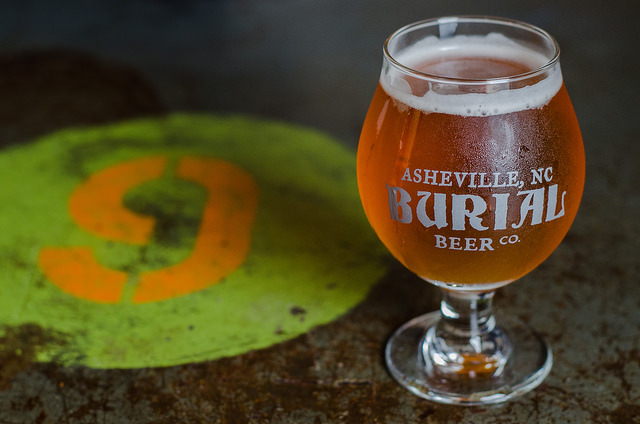 Upcoming events at Burial Beer Co, located on Asheville's South Slope. A moonlit art market, ceremonial session IPA release, wing night and much more happening August 15-19th, 2016. To the dreamers, wanderers and believers of infinite possibility, LEAF is excited to unveil the lineup of performing artists for the Fall 2016 LEAF Festival, taking place October 20-23, 2016 near Asheville at the majestic Lake Eden in Black Mountain, NC. 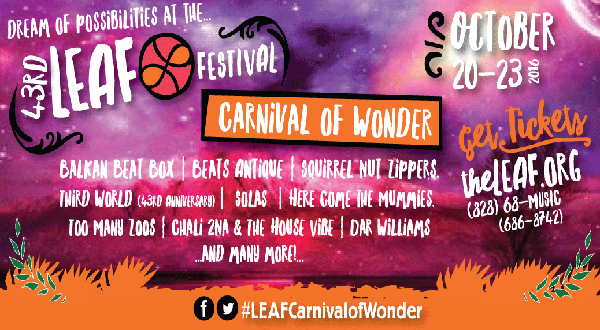 We invite you explore a ‘Carnival of Wonder’ with performances by Balkan Beat Box, Beats Antique, Squirrel Nut Zippers and many more! Be prepared for performances that will ignite your imagination with a family adventure you will remember forever. Tickets are available at www.theLEAF.org/tickets. Children 10 years and under are FREE. The 9th Annual Gathering of The SeatWeavers’ Guild, Inc. brings the craft of chair caning to the Folk Art Center July 29-31. 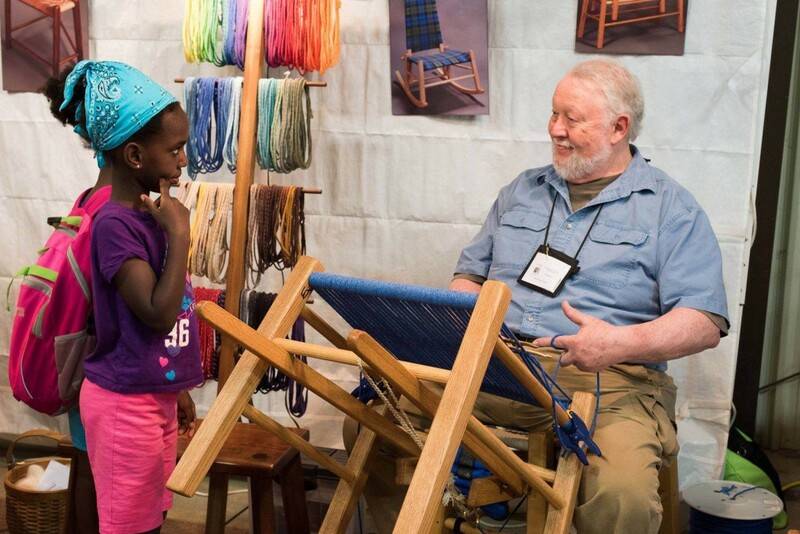 Asheville’s Silver River Center for Chair Caning is hosting the conference and will be having an Open House at the chair museum in CURVE Studios & Garden on Friday July 29 from 10am-6pm. 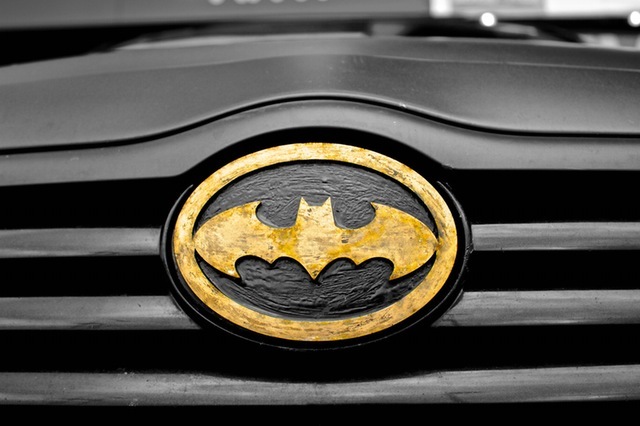 Its Sunday morning. The ill-timed rain from the hours preceding have been swept away leaving the warehouse district shining like a psychedelic wonderland in the bright morning sun. It is 10:30, I’ve just rolled out of bed and still in my pajamas, but with camera in hand and ball cap set firmly on my bed-head, I’m ready to capture the magic and mastery of the third annual Burners and Barbecue. The artists had already been joyfully buzzing away at their work, taking advantage of the blue skies and sunshine. A cornucopia of color is being sprayed and spread on every available surface with expert precision. Burial Beer Co. has announced a series of Moonlit Art Markets hosted at their brewery at 40 Collier Ave on the second Thursdays of every month beginning in June and running through October. 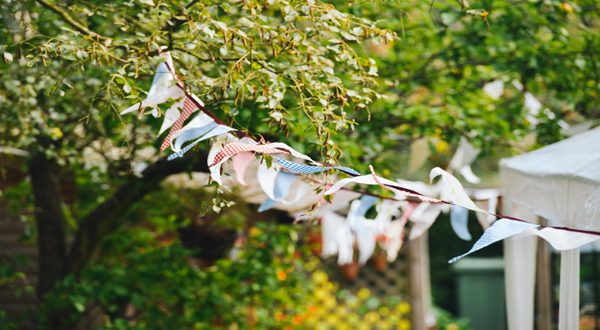 The Markets will feature artisans and crafts people from the Asheville community displaying their work that will be available to the public for purchase from 8-11pm. 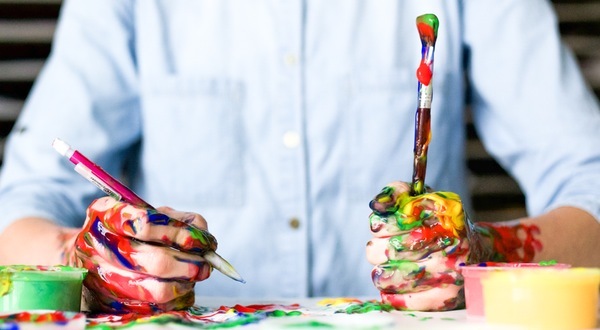 Arts 2 People is a grassroots, community activist, arts and social service organization that has been working in the community on behalf of emerging arts projects for two decades. 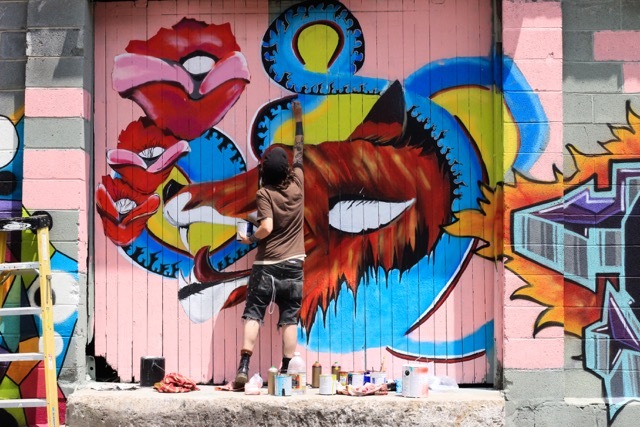 A2P produced 15 years of LAAFF, and is the group responsible for the popular landmark Lexington Gateway mural at I-240 and Lex, and several other important murals in AVL. Over the years, A2P has moved well over a million dollars around in the community, incubating hundreds of creativity-based businesses and endeavors.